Free Mini Redken Brews Gift! with Every Order of Redken Brews! 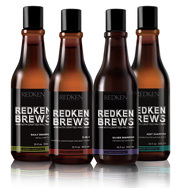 Redken Brews includes four shampoos to meet the needs of all hair styles and lifestyles. From the invigorating and refreshing scent of the Mint Shampoo to keep hair and scalp feeling and looking fresh, to the Silver Shampoo that helps to neutralise unwanted yellow tones in grey and white hair, the Brews Shampoo leaves your hair feeling clean and ready for styling. In a rush? The Brews 3-in-1 Shampoo, Conditioner and Body Wash is the perfect multi-purpose product to give your hair an instantly energised feel as well as being perfect for saving space in your wash bag when travelling or keeping in your gym bag. Redken Brews Styling includes waxes, clays, creams, gels and hairsprays to create an endless possibilities for hair styling. If you're after a bit of styling inspiration, we've put together a styling guide of four different looks using Redken Brews styling range. If you were a fan of the original Redken for Men, then you'll find all the old favourites with a revamped look, but still the same great results! 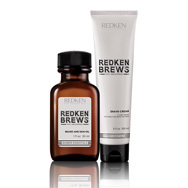 Redken Brews Skin Care includes a Shave Cream and a Beard Oil to complete the finished look to your hair style. Suitable for even the most of sensitive of skins, the Redken Brews Shave Cream has been Dermatologist-tested to give you the closet of shaves without any irritation. 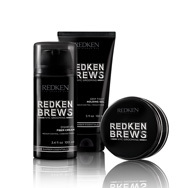 Shop all Redken Brews products for a complete collection of grooming essentials! 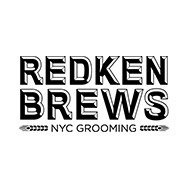 NYC crafted & barber inspired, Redken's Brews range is the next generation of essentials for men, infused with malt extracts and containing everything you need for your male grooming needs. Including everything from a Silver Shampoo to neutralise yellow tones in grey and white hair, to a Clay Pomade for gritty and textured finish, to a Beard Oil to soften and nourish facial hair, Redken Brews is a complete collection of the best men's hair and skincare. Good hair all starts with the right shampoo. With four shampoos to choose from to keep your hair and scalp feeling clean and looking fresh, we're confident you'll find the best shampoo for you with Redken Brews. Whether you want the energising, refreshing feel from Mint Shampoo or the ease of the 3-in-1 Shampoo, Conditioner and Body wash (Great to keep in the gym bag! ), the Brews Shampoos will prep your hair ready for styling. Redken Brews offers the perfect one-stop-shop for haircare, styling and skin. So you've got the cut, but how do you style it? If you're in need of some new style inspiration then take a look at our hair style guide so you know exactly which products can help you achieve your chosen look. Brews Styling includes waxes, clays, creams and gels to create everything from messy, gritty styles to slicked back quiffs to barely-there, texturised finishes. There's also a hairspray to give your style any additional hold with maximum control without feeling flakey or crispy. The hairspray also features compact technology, so you get 2 x more product usage in a smaller, more compact can. If you loved Redken for Men, you will find all your old favourites have had a bit of a revamp (and a slight name change in some cases!) as well as some new additions like Brews Hairspray and the introduction of the Brews Skin Care line starting with Shave Cream and Beard Oil to meet the shaving needs of every man and to complete your finished style.